At any given moment 31 Million Americans experience back pain of some type. That is a full 10 percent of our country’s population in pain, missing work, unable to function, or seeking relief. In fact, low back pain is the single leading cause of disability worldwide and the second biggest reason why people visit their doctor, second only to upper-respiratory infections. Yet, preventing, diagnosing and treating back pain continues to be a relatively misunderstood portion of the American medical landscape. Fortunately, research has offered a few answers to the most pressing questions about back pain. How do I Relieve Back Pain? 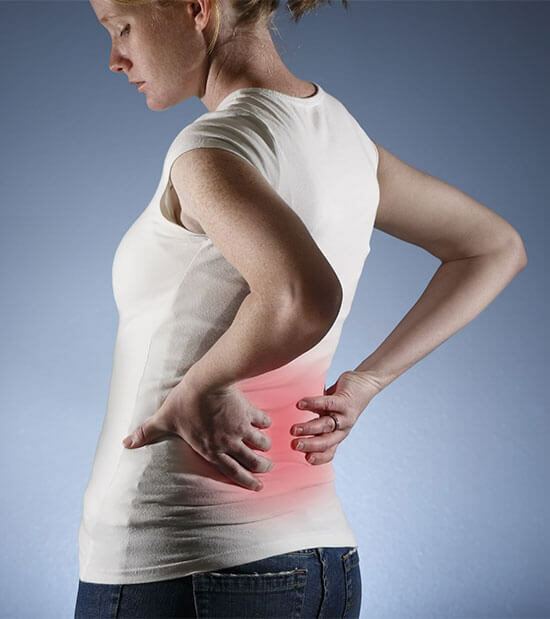 Back pain is typically divided into two categories – acute and chronic. Acute back pain typically lasts less than three months, usually between four and six weeks. It is often the result of an accident, injury, or singular occurrence. Chronic back pain is defined as pain that lasts for more than three months or pain that persists more than four times in a three-month period. While acute back pain can become chronic if left untreated, chronic back pain is more often associated with spinal degeneration, occupational hazards or persistent abuse of the spine over the course of years. There are almost as many causes of back pain as there are people who experience them. However, most back pain falls into three categories – injury, deterioration or disease. Also, be aware of false information when it comes to back pain: Busting 4 Myths About Back Pain That You Thought Were Always True! Most cases of back pain happen as the result of an accident, injury or singular incident. You twist “the wrong way”, lift something heavy with poor posture, dance like no one is watching, and suddenly you find yourself writing on the floor in pain. Back pain is also common after car and motorcycle accidents because of the trauma that results from stopping quickly, airbag deployment or suddenly hitting another vehicle. Most back pain that happens after an injury is the result of stretched or torn ligaments or tendons. It may seem odd at first to think of spraining or straining your back, but this type of injury can happen anywhere in the body where bones are connected to bones with ligaments or bones are connected to muscles with tendons. While most injuries resolve on their own in four to six weeks, there are cases where the tendons and ligaments do not heal properly and leave a person permanently incapacitated by pain. Persistent stress on the back can lead to deterioration of the muscles, joints and connective tissues in the back over time. Jobs that require large amount of lifting, professional athletic activities and even poor posture can weaken the supporting core muscles in the body that can lead to degeneration of the spine and chronic back pain. This can include a variety of conditions. Your spine consists of 33 bones, each one cushioned by fluid-filled discs. These discs are made up of tough connective tissue and are designed to handle the everyday stress you place on your body. When we put continuous stress on the spine beyond what it is designed to handle, cracks begin to form in the tough outer casing and the discs cannot absorb shock as well as they once did. If left untreated, the disc will eventually rupture, allowing the fluid inside to leak out. People experiencing back pain from a herniated disc will often say, “I don’t know what I did. It just suddenly started hurting.” In reality, years of continuous stress led up to the disc finally breaking and putting pressure on the surrounding nerves. Osteoarthritis, also known as “wear and tear” arthritis, is the most common type of joint degeneration in the world. When the cartilage between the joints begins to break down, bone tends to form in its place causing pain. While one of the most common early warning symptoms of arthritis is stiffness when you first wake up in the morning, arthritis is most common in patients over the age of 65. Since the spine is held together by a series of ligaments and tendons with cartilage between each bone, there are multiple opportunities for osteoarthritis to develop. In fact, one in 12 people over the age of 60 have some form of arthritis. Like it or not, aging is a part of life. Most adults will achieve their peak muscle mass between their late 30’s and early 40’s and then begin to develop a condition called sarcopenia, or gradual loss of muscle over time. In fact, most people will lose around 1 percent of their muscle mass every year after the age of 50. As the condition worsens, it eventually leads to a loss of function and independence in older adults. Sarcopenia can also lead to poor posture and back pain as the muscles that hold the back and stomach in place lose their strength. Pelvic Inflammatory Disease – This inflammation of the reproductive organs can manifest itself as back pain rather than pain in the abdomen in some women. 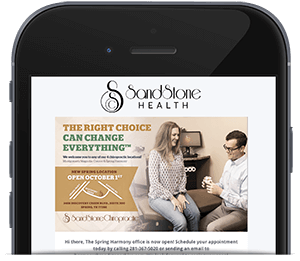 Kidney Stones – Crystalized calcium stones that originate in the kidneys and travel through the urinary tract can often cause back pain when they first form or begin to make their journey out of the kidneys. Spinal Stenosis – A condition where the spinal column narrows and causes pressure on the nerves in the back. It can happen as a birth defect or as a disease that happens with arthritis or scoliosis (curvature of the spine). Endometriosis – Endometriosis occurs when cells designed to grow inside the uterus begin to grow in other locations outside of the uterus. While endometriosis is commonly associated with abdominal pain, especially with menstruation, it can also cause back pain. Scoliosis – Scoliosis is an abnormal curvature of the spine. A normal spine has a curve at the shoulders and another in the lower back. However, when the spine forms an S or C curve, a person is said to have scoliosis. Most people with the condition do not have symptoms, while others experience significant back pain. While 80 percent of scoliosis has no known cause, most people with scoliosis develop it during their pubescent growth spurt and more women than men suffer from the condition. Cancer – Multiple Myeloma, or cancer of the plasma cells generally collects in the bone marrow causing fractures. Many people who are diagnosed with the disease report experiencing back pain as their first symptom. Facet syndrome is the single most common cause of lower back pain. Named for the joint in the back that connects vertebrae together, Facet syndrome happens most often when the discs between the vertebrae begin to deteriorate. As this happens, the facet joint, which houses more pain fiber than anywhere else in the spine, begins to collapse. Once this happens, a person experiences lower back pain, burning, numbness or tingling down one or both legs, or simply stiffness in their lower back. Inflammation in the joint from overuse can also cause facet syndrome and the related back pain. Many people live their entire lives only experiencing periodic back pain. Others experience debilitating pain throughout their lives. What makes the difference? After age 50, we begin to lose muscle mass at around 1 percent per year in a condition called sarcopenia. While 1 percent does not seem dramatic, consider what would happen if you lost 10 percent of your muscle mass by the time you were 60 years old. Suddenly, standing, lifting, bending, stretching, twisting and even exercising can result in injury because of poor muscle tone. Osteoarthritis only adds insult to injury as 1 in 12 people over the age of 60 experience some form of the condition. Arthritis can happen in any joint of the body, not just in the knees, ankles, elbows, and hands. As arthritis begins to occur in the spine, back pain and stiffness are among the first symptoms, eventually culminating in an inability to function normally. According to the American Obesity Association, back pain happens in one-third of Americans who are classified as obese. This mostly happens as the spine attempts to compensate for additional weight that is placed on it. Compression of the spinal discs, unnatural curvature, tendon and ligament sprains or strains, and muscle weakness all contribute to back pain in people who are obese. Additionally, extra weight in the abdomen pulls the pelvis forward and can cause low back pain from poor posture. Although back pain comes from a variety of sources, the diagnostic procedure for getting to the bottom of your symptoms is roughly the same no matter the source. One of the most important parts of the diagnostic process for any disease or condition is the medical history. 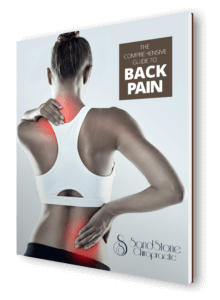 It is here that you can recount when the pain began, how it began, any risk factors you have for back pain including family history or work requirements, any surgeries or illnesses you have had in the past, and when you experience the most pain. Be sure to tell your medical provider everything about your problem including any medications you are taking and any therapies you have tried up to that point. A basic x-ray can tell a lot about a person’s back pain. Not only can it show large-scale problems like improper curvature or fractures, an x-ray will show signs of arthritis as well as poor positioning that suggests disc herniation or degeneration. Painless and inexpensive, an x-ray can be taken and processed in a few minutes and be read almost immediately. If an x-ray does not immediately reveal the cause of your back pain, the source may be related to the soft tissues in your back. It may be necessary to look at the muscles, tendons, ligaments and other tissues in your back with an ultrasound or MRI. These imaging tests tend to take more time to perform and be interpreted, but they can reveal a lot about your back pain if the x-ray is inconclusive. In order to determine the level of disability you are experiencing as a result of your back pain, you may be asked to perform a series of range of motion tests. These non-weight bearing activities provide information about how the bones and muscles in the spine are functioning together and their limitations. Not only does a range of motion reveal what you are able to do, it can also provide information about the source of your pain. Finally, it is important that your medical provider perform a basic physical examination before beginning to treat your back pain. You may be asked to stand, sit, and bend down if you can. Your vital signs will also be taken including your height, weight, blood pressure, and pulse rate to determine if there is anything out of the ordinary that may be contributing to your back pain. If you happen to notice muscle stiffness or pain in your back after a particularly tough workout or after spending all day on your feet in the wrong shoes, it may be possible to manage the pain on your own. Rest your body overnight. Apply ice for 10 minutes at a time, being careful not to place an ice pack directly on the skin. Take a warm bath or shower to relax aching muscles. However, if you experience back pain that lasts longer than one week, or is recurrent over the course of a month, it is important to consult with a professional to get to the bottom of your symptoms and preserve your back’s function. When it comes to treating back pain, it is important to differentiate between treating the symptom and treating the problem. Pain is often just a warning sign of a more serious underlying condition. If you focus exclusively on getting rid of the pain, chances are you will be left with a debilitating condition that will limit your function. Instead, focus on treating what is causing your back pain. Chiropractic care is most commonly associated with back pain because it is gentle manipulation of the spine to create better alignment. Think about the number of nerves that either begin or end in the spinal column. Misalignments in the spine, also called subluxations, can impact each of these nerves, causing inflammation, pain, numbness, tingling, or burning. Once the spine is in alignment, neurological information can be passed freely to and from the spine and pain often diminishes. Electrical stimulation therapy is performed using a machine that sends an electrical charge through the affected muscles. The muscles contract, then release at different pulses which block the nerves that deliver pain sensations to the brain. It can also be used in conjunction with targeted exercises to retrain weakened muscles that are having problems contracting. While sending electricity through a muscle sounds painful, most patients report that it feels like alternating tension and relaxation. Most even report that they are pain-free once they have completed a treatment. Rapid Release Technology (RRT) focuses on pain relief in soft tissues throughout the body. Muscles, tendons, ligaments, and nerves respond to a specific resonant frequency that targets pain, muscle spasms, or muscle guarding. Oscillating, vibrational energy is applied to the tissue where it begins to vibrate. In response, the muscle relaxes and any adhesions that have built up over time break up, relieving pain where the RRT is applied. Spinal traction has been used for decades to open up the joints and interstitial spaces in the back. With these spaces expanded, tension and inflammation in the nerves and intervertebral discs begins to subside and pain begins to go away. Using the Back-On-Trac system, patients sit in a reclining chair completely supported under their neck, arms, knees, and feet. The chair then stretches the spine to a prescribed amount and then flexes to one side. After just a few seconds, the chair returns to center then flexes again either to the same side or to another. A typical treatment lasts around 20 minutes but can vary based on the patient’s condition. Other non-surgical spinal traction systems require the patient to lay comfortably on a cushioned table with a belt around their waist that is attached to a computerized counter-weight that gently stretches the spine. In both cases, non-surgical traction opens the space between the bones of the spine and allows degenerating discs to begin rehydrating and repairing themselves. Therapy sessions typically last around 20 minutes and most patients feel relief in as few as 6 sessions. When you are injured, there is a temptation to move less, not more. In the case of back pain, moving less will only lead to less mobility, less flexibility and less functionality. Targeted exercises, aimed at strengthening the back, abdominal muscles, buttocks and legs can improve your posture and provide more stability to weakened, arthritis or degenerating joints in the back. Try these exercises for back pain relief or to extend the results of back pain treatment. Hamstring Stretches – Stop trying to stretch your hamstrings by touching your toes. Instead, lay on the ground with your back flat, core engaged and one foot flat on the floor. Place a towel or resistance band under your other foot and raise your foot toward the ceiling. Gently straighten your leg and hold for 15 to 20 seconds. Repeat with the other leg. Do two to four sets per session. Flexible hamstrings will help your pelvis sit in its proper position, reducing lower back pain. Wall Sits – Stand with your back flat against a wall. Gradually let yourself slide down the wall until your hamstrings are perpendicular to the ground and your knees form a right angle. Hold that position for 10 seconds, repeated 6 to 10 times. Wall sits are incredibly effective at strengthening your core, buttocks, hamstrings and quadriceps without having to get down on the floor. Vinyasa Flow – Yoga, in general, is great for relieving low back pain. The Vinyasa flow, in particular, is designed to move slowly, maximizing the strength and stretch of your body, especially your back, without putting unnecessary strain on your back. Begin in Downward Dog with your hands on the ground and your body forming an upside-down “V”. Then, with your hands still on the ground, let your body down slowly into a plank position and lift your head and shoulders. Finally, push through your hands back onto your knees with your forehead on the ground in what is called “Child’s Pose”. Repeat the flow three to five times to strengthen your core and stretch out the muscles in your back. Knee to Chest – This exercise is ideal for stretching out your lower back. Lay on the floor with both feet flat on the ground. Gently raise one knee to your chest, keeping your lower back on the floor. Hold for 15 to 20 seconds then repeat with the other side. Do 5-7 repetitions of the movement with each leg. Pelvic Tilt – While you are on the floor, feet flat and knees bent, tighten your stomach muscles and focus on bringing your pelvic bone closer to your chest without raising your hips off of the ground. Hold this position for 10 seconds and repeat 5-8 times. Not only does this exercise strengthen your core without painful sit-ups or crunches, it can stretch out the muscles in your buttocks that may be contributing to back pain. Bridge – From the same position as the pelvic tilt, raise your toes off the ground and drive through your heels until you slowly raise your buttocks off the ground. Hold for 10 seconds then slowly lower your buttocks and toes back to the floor. Repeat 8-10 times. Be sure to contract your buttocks at the top of the bridge for additional strengthening in the lower back. Plank – Better than sit-ups and less painful than crunches, the isometric hold that a plank provides is ideal for strengthening your core muscles. The simple trick to effective planking is in the alignment of your hands and shoulders. Lay on the ground with your hands under your shoulders and push up with your legs straight until your back is straight. Hold for 15 seconds, then rest for 15 seconds, repeated 4-6 times. Gradually work up to planking for a full minute for an added challenge. What is the Real Cost of Back Pain? As tempting as it may be to ignore back pain, it is difficult to ignore the cost of such a common and costly condition. One of the most common reasons for missing work, back pain will cost Americans around $50 billion each year in doctor’s visits, prescription drugs, physical therapy and other relief efforts. But that only scratches the surface of the true costs of back pain. Compound this cost by the millions who suffer everyday from the condition and the financial costs of lost wages, decreased productivity and healthcare costs, and pain in general costs $560 to $635 billion, higher than the estimated costs of heart disease and cancer combined. While the numbers are staggering, consider the cost to the individual. Acute back pain is generally treated by physicians with rest and prescription anti-inflammatory medications or opioid painkillers. Even if they are prescribed as a temporary fix to a painful problem, prescription opioids have been linked to worse function and greater levels of disability after just six months of use. At this point, an acute problem becomes chronic, persisting for longer than three months. Yet, the typical approach to more chronic back pain is to recommend surgery or move toward pain management, often exacerbating the problem or leaving a person permanently disabled. In the best of cases, someone who is experiencing back pain as a result of an injury will experience lost time at work, decreased levels of function, withdrawal from activities or relationships, and sleep disruption. In the worst of cases, the real cost of back pain is total disability, an inability to work, or even get out of bed without pain.